Research shows that students need multiple encounters with a new word before they know it well enough to comprehend it in text. 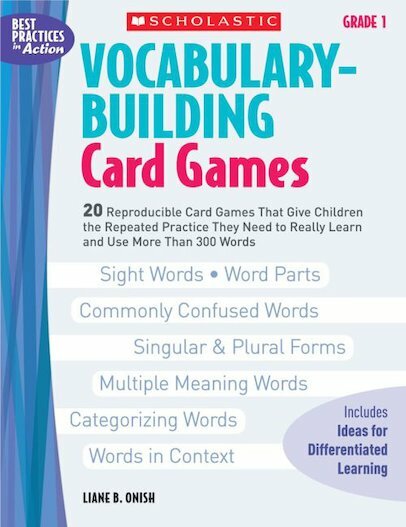 These easy and engaging card games are tailor-made to support students in this process, help them ””own”” hundreds of new words, and increase their reading, writing, and oral vocabularies. Games are fully reproducible and perfect for partner, small group, and whole class use. Includes game variations and ideas for differentiated learning. For use with Grade 1.